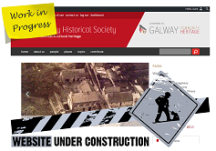 The Claregalway Historical and Cultural Society, founded in 1990, aims to encourage the appreciation, knowledge and preservation of Claregalway area's rich historical, cultural and archaeological heritage. 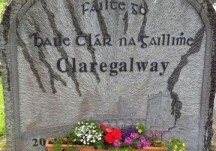 In 1991, the Society initiated a FÁS sponsored scheme which began the enormous task of documenting Claregalway’s local history, which some of the articles are based on. We’ve published two books, (the) Claregalway Parish History 750 Years (1999) and (the) Claregalway Parish History Pictorial (2002). In 2007 we restored an old blacksmith’s forge which was used for many generations up to the 1990s and in February 2014 we built a Heritage Museum and Interpretative Centre. 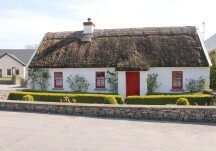 Both the forge and museum are situated on a site provided by the Smyth and Glynn families, Rooaunmore. 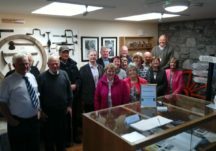 The Forge and Museum is open to the public from Wednesday to Saturday. 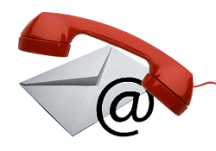 Click on www.claregalwaymuseum.ie for more about the Museum and for group bookings.